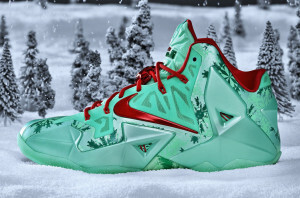 The LeBron 11 Christmas has been restocked in a full size run. Not only that but you can cop them under retail. Use coupon DEALSAVEJJ at checkout to knock $20 off and get them for $180.